Team PRG develops high performing climbing athletes in a way that emphasizes fun, fosters a love of the sport, and supports each team member’s personal development. Our coaching team will challenge and encourage your child to come into their own as an independent, responsible, strong, and respectful climber. Our program is designed to help our climbers achieve their goals, and to support climbers socially, mentally, and physically. 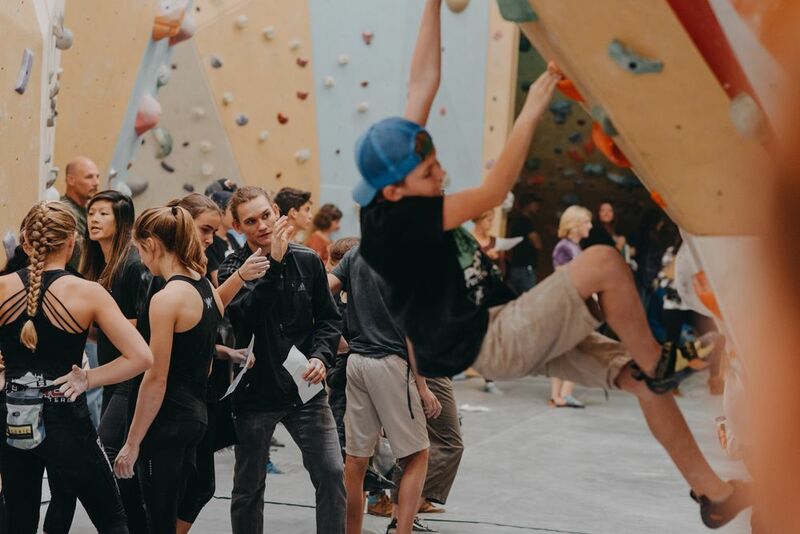 Our coaches emphasize the importance of community by creating a fun environment for friendships to develop, and a challenging team environment for youth climbers to excel. Our program practices as two teams based on age, experience, personal goals, and ability. 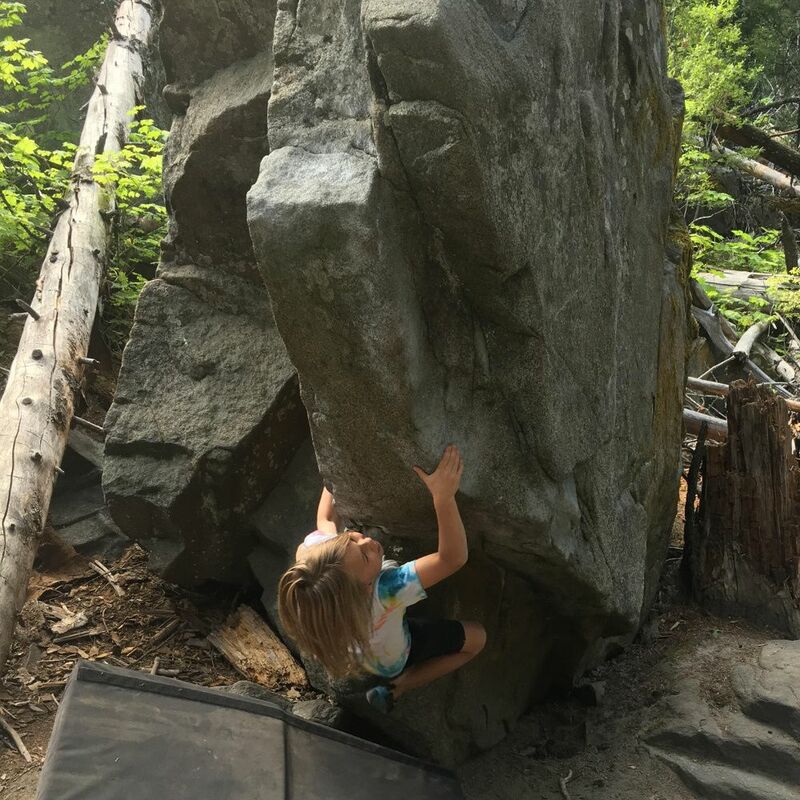 Young Comp Team (for climbers ages 8-12) focuses on basic techniques that will develop a strong climbing foundation, while also having fun and getting stronger. This Team is geared towards the kids who have climbed and are ready for a structured environment. Practicing foot and hand techniques, instruction in body position, and a basic approach to climbing will be what the team is focused on. This will be achieved through climbing related drills, projecting, on sight practice, and a small amount of strength based workouts. Participation in competitions will be strongly encouraged, but they are not mandatory. Climbers on the Young Team can expect a ratio of 80% climbing and 20% training. Team members who want to take competing and climbing to the next level can sign up for our Friday practice. On Fridays we'll dive deeper into the mental side of climbing and have more time for personal coaching. Climbers must become a USA Climbing Member in order to join the Young Comp Team. Our Competitive Team (ages 13 and up) trains athletes who desire to compete at National level USA Climbing competitions, and who are committed to becoming some of the best young climbers in the country. Competitive Team members can expect a ratio of 50% climbing and 50% training. Team members are expected to attend all Team practices, unless otherwise arranged beforehand. Attendance is imperative to the individual climber, and to the overall Team’s success as a unit. Coaches provide specific seasonal training programs that yield stronger results when the climber is consistent. Missing even one day of practice during the competition season can set a climber behind the pace of the Team’s training. Team members who want to take competing and climbing to the next level can sign up for our Friday practice. On Fridays we'll dive deeper into the mental side of climbing and have more time for personal coaching. Climbers must become a USA Climbing Member in order to join the Competitive Team. 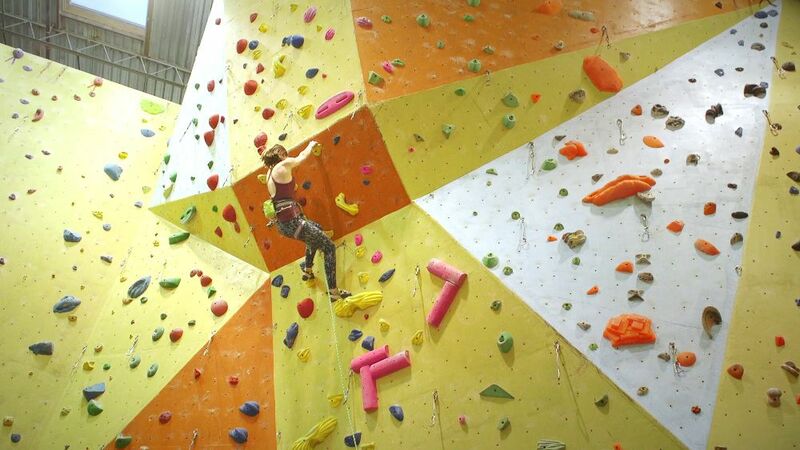 Bouldering Season, called: the American Bouldering Series (ABS), takes place from September-January. Sport and Speed Season, called: the Sport/Speed Climbing Series (SCS), takes place from February-April. ABS and SCS competition seasons include local competitions, as well as championship events. Parents receive a FREE Intro Class! PRG would like the parents of team members to be able to belay for their kids on the team. This allows the parents to belay their kids outside of practice and be more involved in their child’s sport. Team members will learn to belay and belay for each other. Team members who are in age categories that lead climb will learn to lead, all other youth of appropriate ability level will start to lead climb as well. Team members will the opportunity to order pro deal priced equipment, and discounted team shirts/hoodies at the start of each season. Team members will have access to go on outdoor trips throughout the year with our guide service at discounted rates. The coaches strongly encourage team members to make all practices possible. While comps and outings are fun, practices and training sessions should be the real motivator for joining and participating in the climbing team. Practices consist of climbing drills, technique and skill building, endurance, core workouts and strength training drills. The kids will be carrying out age appropriate weight lifting to strengthen their prime moving muscles as well as their antagonistic (non-climbing) muscles to prevent injury.